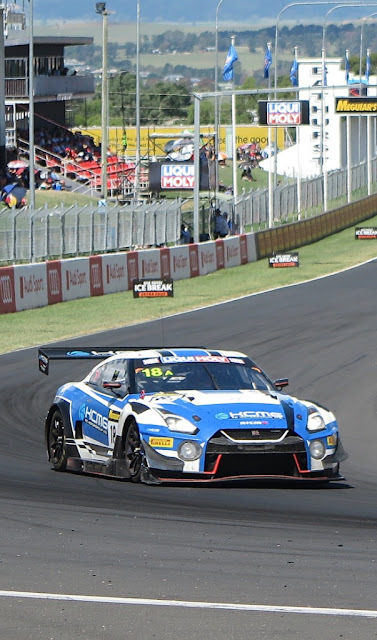 Okay, so I spent 12 enjoyable hours watching some of the most impressive sports-touring cars currently on the market thrash around the Mount Panorama circuit - and what made the sight so enjoyable was that THIS is what these cars are really designed for. I’m sure we’ve all commented, from time to time, that using these cars on public roads is a dreadful waste of their performance potential. Sure, they’ve got plenty of pose value, but when you see them, running flat-out, stretching their performance envelopes on the track it truly brings a satisfied smile to my face. Especially satisfying, for me, was seeing the legendary Ferrari name appear in the list of winners (class win). This car was entered by a team with the name ‘Spirit of Race’, and after all that’s what the Ferrari legend is based on. The car sounded beautiful, and was very reliable. At the finish it was just one lap down on the winning Porsche, in 9th outright. The second placed Aston Martin V12 Vantage was one of three cars entered by Aston Martin St. Gallen, but Car # 760, disappointingly, lasted just 168 laps. There were some obvious upsets this year. The best placed Audi R8 LMS (of four cars entered), finished in 10thplace. The conclusion in the media centre was that none of these cars were official factory cars, with all the support that brings with it. There were six AMG GT3s entered, and cars #999 and #888 circulated strongly all day, but apparently strategic errors and some sloppy pit planning left them to settle for third and fourth. Of the two privately-entered Lamborghini Huracans, car #6 finished in 12th, but never looked like closing on the leaders. 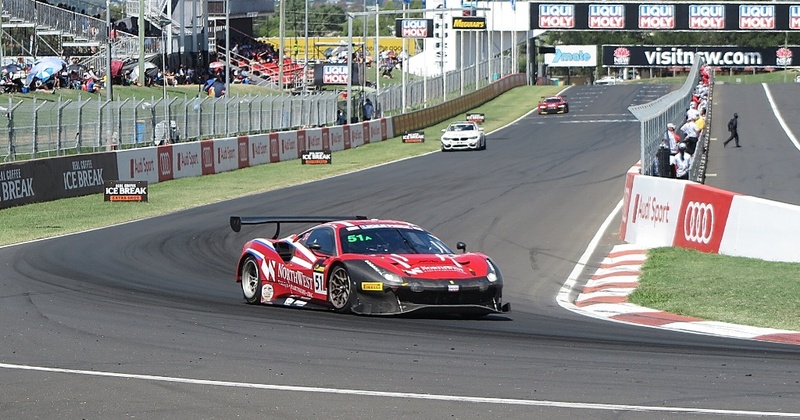 The second Ferrari 488 GT3 (Car #27) only managed to clock 279 laps, and enjoyed far too many visits to the pits. There were two Nissan GTR Nismo GT3s (Cars #35 and 18), and their performances were at both ends of the scale of expectations. Car #35 spent lots of time in the pits, and only Car #18 completed 312 laps, the same as the race winner, but down the finishing order at seventh. In the end it was Porsche’s day to celebrate. There were six 911 GT3s on the grid, and only two failed to finish. The fascinating element to the winning car, is that this was the car's last race - it was to be retired immediately after competing. What a way to exit! However, once again, it was a real thrill to see these truly high performance cars operating at full potential. 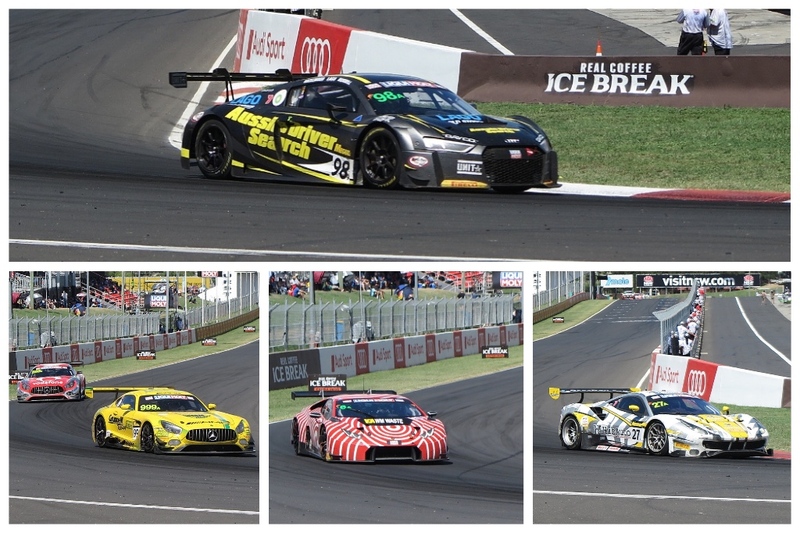 It’s a great compliment to the organisers of the Bathurst 12 hour race that they managed to present the world’s best GT cars on one of the world’s greatest road circuits for the enjoyment of the Australian and global audience. This year's was a race you couldn’t take your eyes off, and there’s not many of those these days, especially compared to the F1 processions.